A lot of wedding photographers wonder when to stop shooting weddings before delivery. Some photographers will shoot until 38 or 39 weeks – even up until the day before their 40th week while others stop by the beginning of their third trimester. Truthfully, there is no right answer as to when you should start your maternity leave. There really is no magic answer. Thirty-seven weeks isn’t the answer. Thirty-two weeks isn’t the answer. Knowing when to stop shooting weddings before delivery is something that is different for everyone. You need to stop shooting when your body tells you that it’s time to stop shooting. If you’re not listening to your body, your OB or midwife may have to have a chat with you and help you listen to your body. Keep an open communication with your OB/midwife throughout your pregnancy and discuss your work schedule with them. Make sure they understand that you can’t just “call in sick” to a wedding – that you need to be able to show up and perform your job. Not everyone delivers their baby in the 40th week or pregnancy. Some women have “heart shaped” uterus’ which often results in the delivery of the baby earlier than espectected while other mamas have to be induced once the baby is term at 37 weeks due to complications. Some women have to be induced before the baby is term, for medical reasons. Make sure you communicate effectively and truthfully with your healthcare providers. It’s important they know that we have a physical job that often has us in hot weather and carrying heavy gear for hours on end. If your healthcare provider thinks you should stop working by a certain week of your pregnancy, please listen to their advice. Personally, I found that by my the end of my second trimester I was ready to hang up my camera. I delivered in July and dealing with summer heat, swelling, pelvic pain, utter exhaustion and uncontrollable morning sickness despite medication. 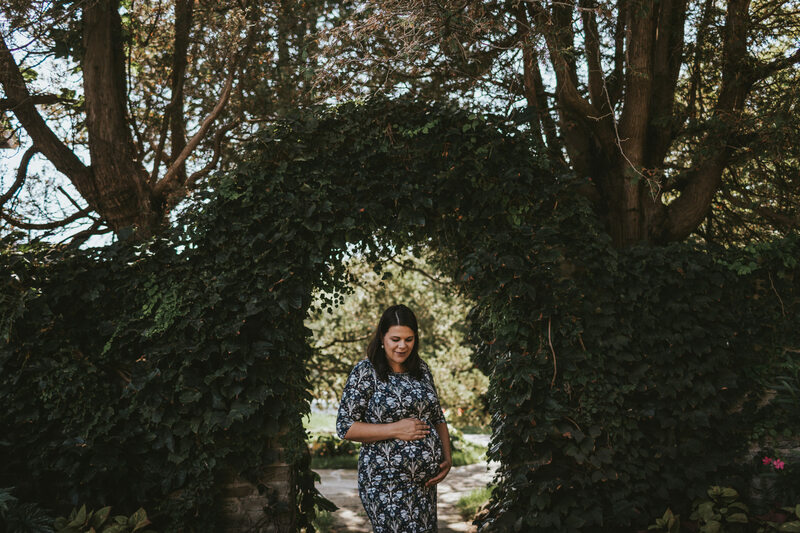 Luckily I chose not to book any weddings during my third trimester as I wanted to be cautious and I’m very glad I did. My plan was to pick up some second shooting jobs in that last trimester, if I felt up to it – but boy I sure didn’t!! If I were a bride, I would hope that my wedding photographer wouldn’t be too risky and try to shoot to the very end; I’d rather choose a new photographer a few months before my wedding than to have my photographer send a substitute with only a few days notice because she can no longer shoot. I put myself in my bride’s shoes all the time. I do this because I know that the clients who I book with share similar values to my own so I trust that my decisions would be respected by my clients too. Now that you know when to stop shooting before delivery, how long do you wait before you start shooting again?